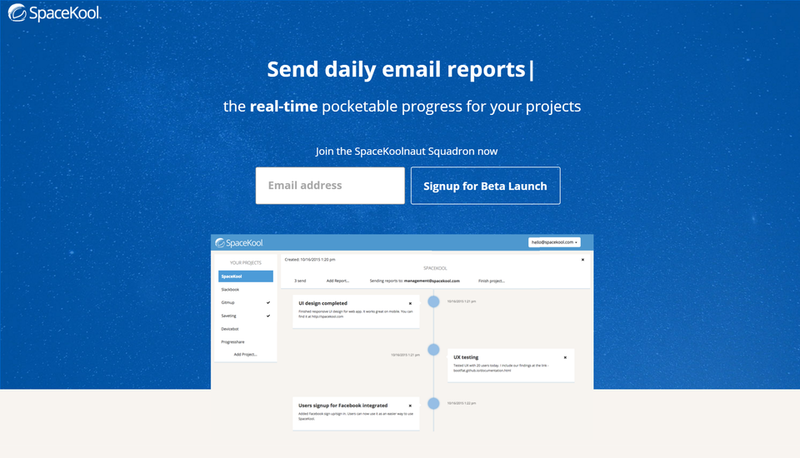 SpaceKool is the real-time pocketable progress for you projects which allows you to generate a Kool and Responsive Visual Progress Timeline for any Project. We say it's "pocketable" because at any given time and any given place, whether on a computer or smartphone, you just have to glance at a SpaceKool Timeline to give and get an up-to-date progress on a project. Our mission control system also shoots out progress report emails automatically at the speed of light.